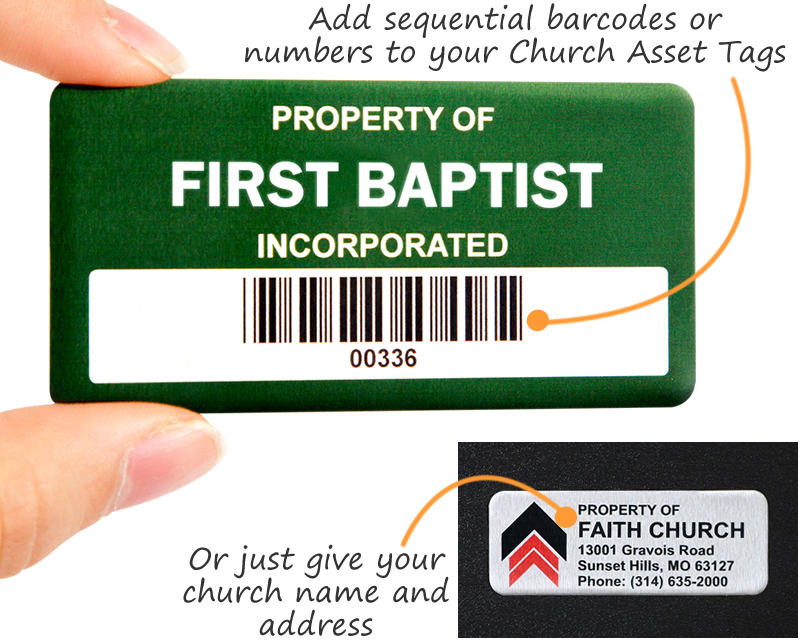 Churches have a lot of moving parts, which makes asset management more important than ever. 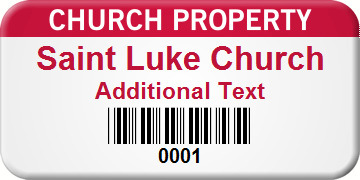 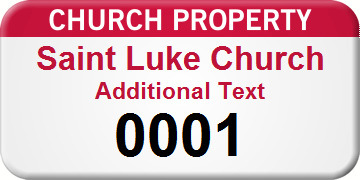 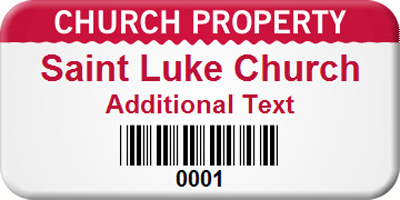 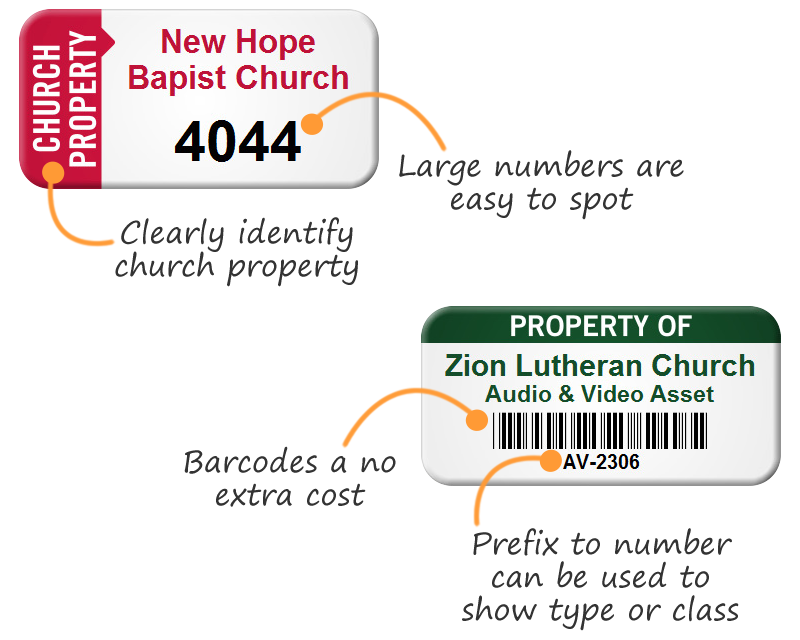 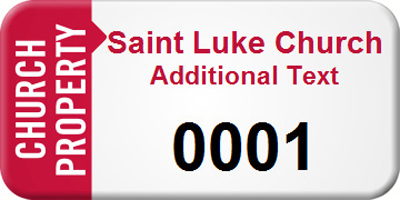 With donors and agencies funding church-backed initiatives and new purchases, use Church Asset Tags to track and inventory these assets. 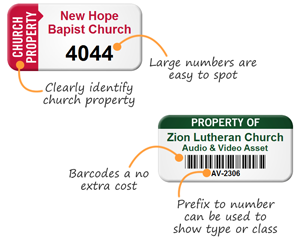 • Large numbers and bright colors mean you don't have to hunt to find your property. 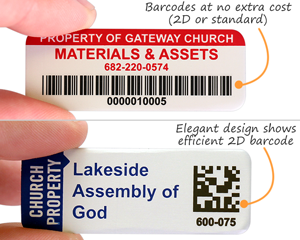 Or, use a barcode at no extra cost. 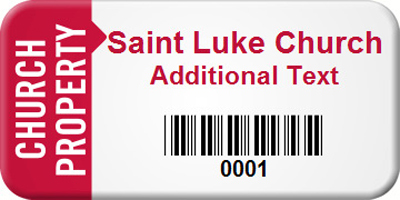 • Modular designs allow you to easily change the headline. 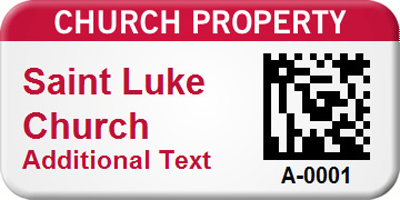 • Not quite what you need? Here's more asset tag designs. Customize your designs to deter unauthorized "borrowing" of assets.